New York State Department of Environmental Conservation (DEC) Commissioner Basil Seggos recently announced $2.24 million in grants for urban forestry projects to protect air quality, water quality, and natural resources across the state. The grants are part of DEC’s Urban and Community Forestry Program, which helps communities develop and implement comprehensive tree planting, management, maintenance, and education to create healthy forests while enhancing quality of life for residents. Significant funding for urban forestry at the state level comes from the U.S. Forest Service (USFS); see the role that the USFS plays with urban forests here. It’s important to get to know our national leadership, like newly sworn in USFS Chief Vicki Christiansen. 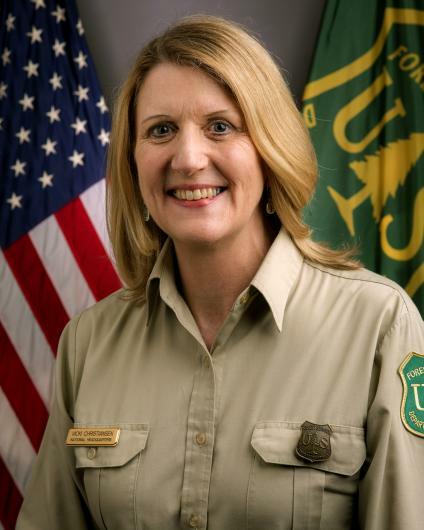 Vicki Christiansen serves as Chief of the U.S. Department of Agriculture’s Forest Service in Washington, D.C., after serving as Interim Chief since March 8, 2018. In her 36-year career in natural resource and wildland fire management, she brings a wealth of experiences and skills that demonstrate a commitment to the core values of the Forest Service. This includes conservation, service, interdependence, diversity, and safety. She works daily to live up to these values in every facet of her leadership and service. She demonstrates them as she leads a workforce of more than 25,000 permanent employees who steward 193 million acres of national forests and grasslands; support the world’s largest forestry research organization; and work with states, tribes and the public to sustain all forests so they can benefit all citizens, today and in the future. Prior to serving as Chief, she worked as Deputy Chief for State and Private Forestry, where she oversaw Fire and Aviation Management, Tribal Relations, Forest Health Protection, Cooperative Forestry, Grey Towers National Historic Site, and Conservation Education. Governor Andrew M. Cuomo recently announced $2.2 million in grants for tree planting and community forestry projects across New York. 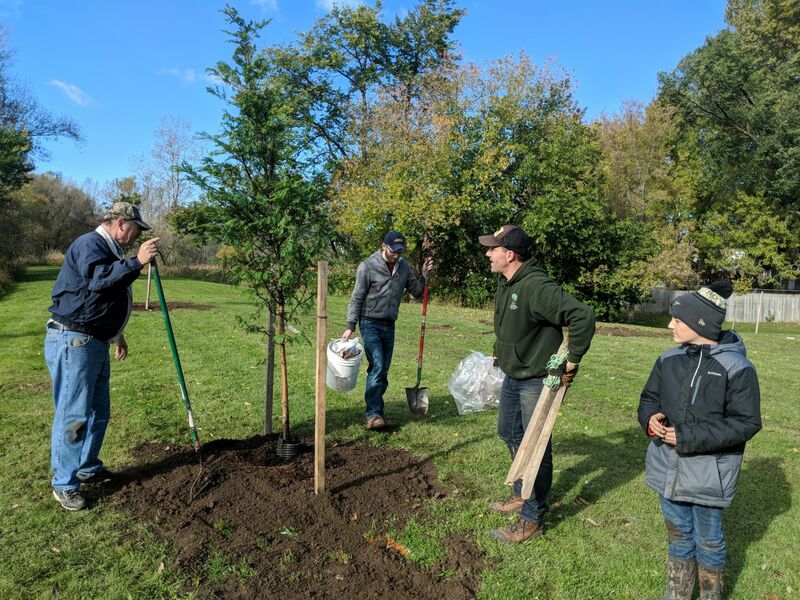 In honor of National Arbor Day, Governor Cuomo proclaimed Arbor Day in New York State along with the joint grant announcement from the State Departments of Environmental Conservation, Agriculture and Markets, and the Office of General Services. The 2018 New York State Arbor Day Proclamation can be viewed here. The SUFC Policy Working Group recently submitted testimony to the House and Senate Interior Appropriations Subcommittees urging support and funding for U.S. Forest Service, EPA, and National Park Service programs related to urban forests. 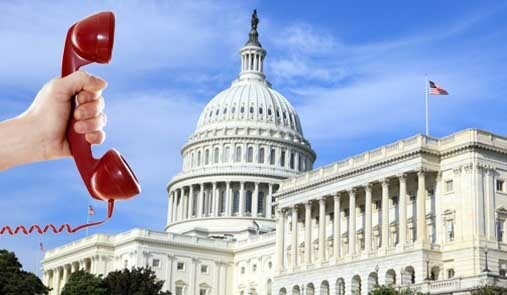 The Working Group also submitted testimony to the House Agriculture Appropriations Subcommittee to maintain the Fiscal Year 2018 funding levels for four line items under the USDA Animal and Plant Health Inspection Service (APHIS) Plant Health program. The SUFC is an assembly of national organizations working to advance a unified urban forest agenda for our nation’s communities. The SUFC is composed of city planners, educators, landscape architects, non-profit leaders, scientists, arborists, foresters, nurserymen and women, and many other professionals who care for, monitor and advocate for trees and our urban forests as a whole. Calls, emails, letters, and in-person visits to federal legislators by advocates for Urban and Community Forestry have paid off! You’ll recall President Trump’s proposed FY 18 Budget zeroed out funding for UCF. Citizens and UCF advocacy groups sprung into action to educate our representatives in Congress about the myriad quantifiable benefits of the urban forest, and Congress responded. The 2018 omnibus appropriations package passed by Congress and signed by the President on March 23, 2018 reinstates funding for USDA Forest Service State and Private Forestry programs, including $28.5 million for Urban and Community Forestry. This is is actually $500,000 more than was funded in 2017, although not the $31 million requested by the National Association of State Foresters (NASF) for FY 2018. Now it’s time we roll up our sleeves and advocate for our urban forests once again, as the President’s FY 19 Budget proposal once again zeroes out funding for UCF. Thank you to all of you who made your voice heard on behalf of our nation’s urban forests. It’s a muscle we must continue to exercise. For further reading, see the press statements from NASF, from the National Association of Conservation Districts, and Society of American Foresters — more to come. Special thank you to Region 2 NY ReLeaf folks who took leadership on strategic legislative visits and to Danielle Watson at the Society of American Foresters for her regular briefings on the budget process. I am pleased to announce that Manuel A. Alarcon, a senior at SUNY College of Environmental Science and Forestry (SUNY-ESF), was awarded the Helen Sternberg Cutler Memorial Scholarship in Urban Forestry for 2018. He will be graduating with a BS in Forest Resources Management. He is exactly the kind of recipient to honor the memory of my mother, Helen Cutler, who was always planting trees in urban environments.